Year 2 of Law School is over, and the stress, and craziness of it meant I fell off the paleo bandwagon. I think I’ve been living off carbs and cheese for two straight months, and I’m paying for it. My stomach is angry, I’ve been sleeping kind of out of whacks, and I’ve been getting headaches. A Whole 30 Round 2 is definitely in order. I completed my first Whole 30 this past January. For 30 days I cut out: grains, dairy, legumes, added sugar, preservatives, nasty chemicals, and alcohol. After 30 days, you slowly reintroduce these foods one at a time to see how your body reacts. I learned that dairy and me don’t mix very well, so I *should* do a better job of minimizing how much of this I eat. The Whole 30 was hard, but oh, so worth it. My stomach was happy, my digestive system overall was working properly, my skin was clear, I was sleeping well, and the list could go on for ages. I was feeling that tiger blood that the Whole30 Program raves about. I lost about six pounds, and could tell my clothes were fitting better. Of course, the program is challenging if you don’t prepare. My biggest struggle was going out with friends and not slipping. If you slip, you have to start over in order to achieve the best results. I learned that the more prepared I was, the easier it was to make healthy choices. Below, I’ve compiled my favorite Whole30 things and resources, that help me prepare, and get me through 30 days of life changing. These resources are more than enough to get you started. I’ll do another post soon about the cookbooks I love. 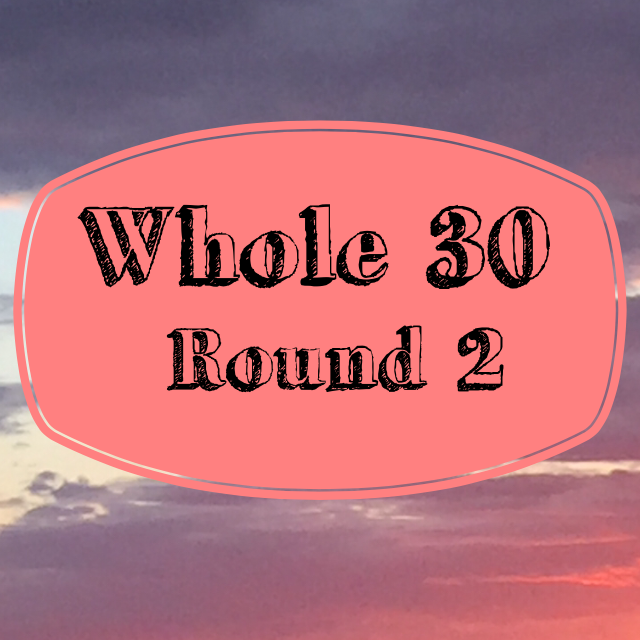 I’ll be starting my second round of Whole 30 on May 24. As always, send me an email at kelsileeEO@gmail.com for questions, or leave a comment. good luck on your second adventure with this! I hope it makes you feel fantastic! Thank you! I’m very excited and ready to get back on a healthy track!